Checklists are great for any procedural operation, especially when the task is high-stakes. Pilots, astronauts, submariners and your author all use checklists to ensure nothing of importance is forgotten before commencing operations. Where even the keenest mind may forget, paper remembers even in a stressful situation. Checklists have much utility for your average prepper, from tracking your needed acquisitions of food, materiel and other daily or weekly tasks to codifying your step-by-step bug-out or shelter-in-place plan. 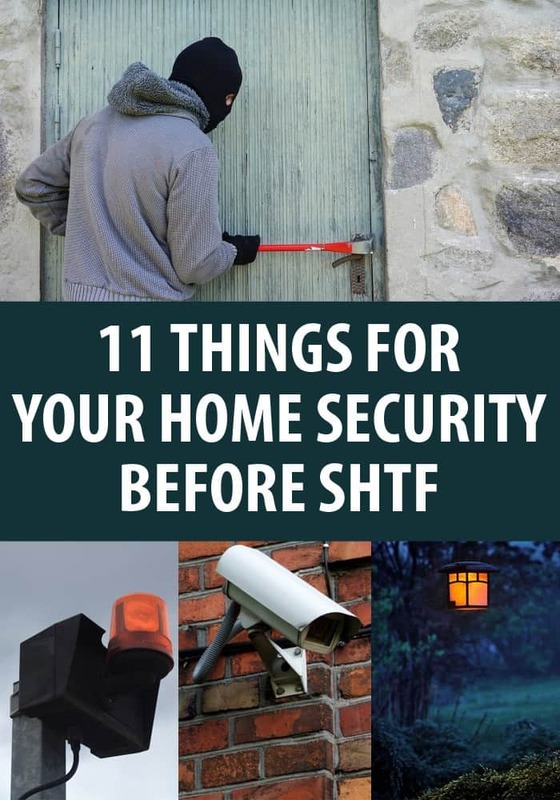 In this week’s article, I will present a checklist that you may adopt (or modify) to serve as your pre-SHTF home security guide. Within you will find measures that will help you make your home as unappealing a target to looters and thieves as possible before, during or after a disaster. This list is not a guide to actual home defense procedures. The tactics techniques and procedures entailed in that would make up many articles on their own. Instead, this checklist is a guide to preparing your home before it is at risk of invasion to hopefully prevent invasion from occurring, or if it does, make it as costly, slow and difficult as imaginable for your attackers. This list is intended as a set of generalist guidelines to help keep your house secure before, during and after a crisis event. Some of the items on this list are material, and others are procedural, meaning some are things you’ll need to buy or install and others are things you’ll need to do or practice. Not all of these items will be practical or even viable depending on your living space and situation. As I mentioned above, you may need to modify this list. Some of the items will directly harden your home against any kind of illegal entry and others will serve to sustain it in a long-term situation where you might be more vulnerable to looters or other desperate people. Now, let’s get to the list. The following items are presented in an itemized format with commentary to expand on the necessary concepts and preps. A huge part of home security is making your home a hard target. I don’t be roving searchlights, landmines and barbed wire (though that would surely work! ), I mean making your home as unappealing as possible to a potential invader. You can do this by keeping fencing/walls/ hedges below chest level to improve your sightlines out of the property and increase the bad guy’s concern for witnesses, and removing or moving anything that would allow him to approach the property under cover or concealment. Trees, overgrown plants, boats, sheds, etc. can all be used to mask an approach. Deny their use to an adversary! Bad things happen in the dark. Darkness has been used by predators to hide from their prey for millennia, and humans are no different. Why do you think so many crimes happen in the dark? To help secure your home, you can pull the rug out from under would-be attackers by smartly using light around your home’s exterior. You should have lighting covering the perimeter of your home, with no gaps, paying special attention to any possible hiding spots. Take care that you do not cast any deep shadows that may be used in ambush by a clever scumbag, and keep in mind that once your night-adapted eyes are hit by bright light, any area beyond the light will be very tough to see into. Plants that are sufficiently thorny, spiny or noisy are excellent deterrents for any home invaders that would make an attempt on a window. Aside from decorative appeal, certain plant varieties are positively dangerous, and have ferocious barbs or other defensive adaptations that work on hungry animal or lurking humans alike! In any given area there will be some breed of prodigiously thorny plant suited to grow in your biome. You might install defensive shrubbery under any first floor window, and to the sides of any exterior door with a blind spot to prevent any intruder from lying in ambush. Unless you will be transplanting mature (and expensive) plants, these silent sentries will need time and care to grow, so get started as soon as you can! Being able to monitor your home’s exterior without exposing yourself is a Godsend for assessing any stranger at the door or just checking to see what is moving around outside the walls of your home. Connected to a remote monitor or even your smartphone, these systems are cheaper and easier to DIY than ever. You may choose from more obvious cameras or low-profile, even concealed ones. Obvious security cameras may have some value as deterrents, but also could attract attention from audacious thieves. Whatever models and system you choose, be sure to have them covering all entry points to your home as well as likely approaches and hiding places around your property. Used judiciously, a surveillance system is an excellent intelligence gathering and early warning tool. 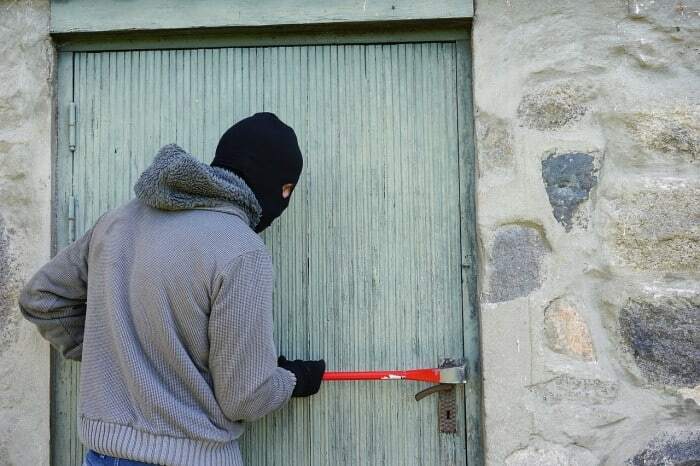 Doors and windows are the main points of entry into any dwelling during a home invasion. Sadly, very few will stand up to a forceful attempt and opening or breaking them. If the bad guys cannot gain entry into your home, you will have gone a long way to prevailing in the fight, if it occurs at all. Exterior doors should be of sturdy, solid wood or metal construction, mated to an appropriately beefy jamb, and anchored with strong hinges and locksets, and those attached with long, high quality fasteners. This will resist kicking and some mechanical attempts to force the door open. For even better reinforcement, install an anti-kick device like a Door Devil. These low-profile kits spread the force from a kick over a much wider area than the lockset screws alone, and will stand up to repeated, brutal kicks and rams with ease. Windows’ frames should be reinforced as much as you are able, or if they are very old replaced with modern ones. The glass itself can be treated to a mylar appliqué that will increase the shatter resistance of the glass in thinner applications or even provide a measure of ballistic resistance with thicker ones. Mylar and other material applications may not be a DIY project, so consult a professional for advice before proceeding. With doors and windows reinforced, there will be few easy, quiet or quick modes of entry for intruders. Now that we have our perimeter cleaned up, entry points protected by thorny plants and our doors and windows hardened, we can sleep soundly. Or can we? Well, yes, but it pays to have an alarm all the same. An alarm serves two vital functions: it puts pressure on the intruders knowing that help will likely be summoned and the occupants of the home awakened, and it, well, awakens you, the homeowner! A shrill alarm going off will awaken the soundest of sleepers with vigor, giving you a few extra seconds to rouse and arm yourself in order to respond to whatever set the alarm off in the first place. Of course, an alarm sounding has a non-zero chance to convince whoever was attempting entry that the juice is not worth the squeeze and they should abort their break-in. Alarms should be rigged to trigger on disturbance of all exterior doors and opening or breakage of any windows, with very little delay for entry, if any. If you do have a delay to allow night owl family members access, keep it very short, around 10 seconds or so. Another time-honored alternative is a barking dog. Big and bassy, or small and yappy, the keen senses of dogs will rarely be foiled by break-in attempts, especially if you reward the dog for nighttime vigilance and supplement that with training, and will easily awaken you from a sound sleep. Larger dogs may also serve double duty as a bonafide helper during a home invasion, and while expensive a protection trained dog has often has the well deserved moniker of “fur missile” for their efficacy against people. For repelling boarders from your home, a firearm is your best weapon. Possessing terrific power, range, and ease of use in close quarters compared to a longer swung weapon, firearms are the defensive tool of choice for preppers. Handguns, rifles and shotguns all have their merits, but if you are uncertain of your ability to wield a long gun in tight spaces choose a handgun. Though harder to shoot at a high level of proficiency and not as powerful as its larger cousins, a handgun is a cinch to utilize in cramped confines and also has the benefit of being simple to keep on or about your person. Click here to read more about what guns are best for your home defense. A gun is never merely a lucky charm: you must have the skills to pay the bills when your life or the lives of your family are on the line. Seek training from a reputable teacher and practice to keep your skills sharp. Nothing else will do when all else has failed and the wolves are past the walls. For situations brewing outside your home, or inside the home when a gun is either not an option or you do not have full confidence lethal force is required, a large can of pepper spray is the perfect solution when “Go away!” is not getting the point across. Contrary to the popular opinion of macho-tough tough guys, quality pepper spray is no joke, and works to take the starch out of rowdy fighters and probable combatants about 90% of the time. It also has the advantage of range, and as we all know keeping our distance from a threat increases the odds of a good outcome in our favor. Compared to the little, slightly wimpy canisters designed for concealed carry and joggers, a large jug with wide-area nozzle (party sized!) is perfect for hosing down a group of massing rowdies in your front yard, or pre-seasoning rooms with a choking cloud of spicy gas if they enter your home. Pepper spray causes serious pain, and more importantly significantly debilitates the fighting ability of most people who get a good dose to the face. Don’t dismiss this powerful tool as something “less” than a gun; it is simply optimized for different solutions. Our work has not ended outside the home. On the inside, we must take the time to stack all advantages in our favor. If using a gun for defense, you must know what surfaces and objects in your home will stop bullets, and what won’t, both to employ cover to best defense against our adversaries’ bullets, but also to hopefully deny the use of cover to them. Of equal importance is recognizing likely lanes of fire and assessing whether or not any walls between you and someone else in the home will be sufficient to contain stray rounds. This is a great time to bring up the importance of marksmanship, as any round that misses the bad guys will wind up somewhere else and you are responsible for every, single one. If you need to add a cover point at a strategic location in your home, a bookcase full of books is highly effective against small arms fire and does not look out of place almost anywhere. Note that for best results the bullets will need to impact the books on their cover sides, not the spine or opening. During your assessment you should also be taking note of any mirrors and other reflective surfaces that can give you a peek around corners or into rooms without committing to entering the room. If you cannot see into a room the way you want, or don’t like the fact that someone could see you in return, move or obscure the mirror or other surface. Assuming all other defenses have failed, you will have to grab your weapon, saddle up and prepare to engage intruders. Don’t plan to wing it; analyze what your priorities are and practice your response until it is second nature. Do you live alone? Is it just you and your partner? Do you have children or others in the home? If yes, where? Are they near the master bedroom, across the house, or on another floor? All of these variations will affect your response. If you have children in the home, your obvious concern will be for their safety. The question is how you will furnish it. 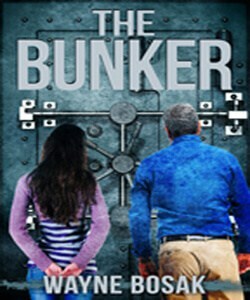 If they or others are near the master bedroom, you might be able to dominate the approach to it, keeping the bad guys away, or you might bring everyone into the master and barricade the door. 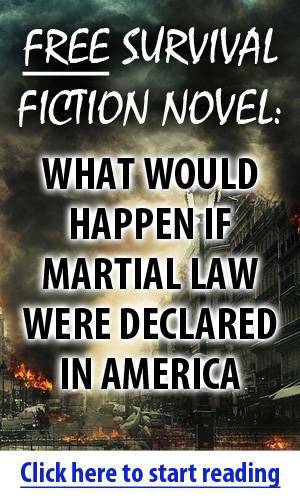 If you have family across the house, you will certainly not leave them to their fates; you’ll be charging across the house to interdict and neutralize or repulse any invaders with prejudice. The chances that you will be able to get to them without encountering a hostile will be slim for most residences, so prepare to ID and engage if necessary. The chaos of a home defense scenario will be severe. Shouting, screaming, shooting and worse. To make matters worse, you can count on all this going down in hours of darkness, or at least low light. No matter what happens though, you must be sure of the identity and disposition of anyone you are preparing to engage with lethal force. This is a necessity not just for legal reasons, but moral ones: more than a few poor souls have accidentally shot their loved ones or unexpected guests in the home (daughter’s boyfriend/son’s girlfriend). To properly ID and ascertain the threat a person presents in the home we need light. How we get the light is up to you. For some, if the electricity still works, flipping on the lights is a valid idea. It will certainly let you see with full visual acuity and deny the darkness to the intruder, but is also lets them see you just as easily. Not the best play if they are armed. A better solution may be use of a powerful handheld or weapon mounted flashlight. These super-bright lights pump out more than enough lumens to temporarily turn dark into day, and also work to temporarily overwhelm the vision of who you point it at. Used well, a handheld light will let you ID someone without making yourself an easy target, but is tricky to use in conjunction with a firearm without a lot of practice. A weapon-mounted light (WML) conversely is very simple to operate in conjunction with a firearm, but also an easy target, since it will more or less be centered on your body at all times. All methods have advantages and disadvantages. It is up to you to assess which will work best in the context of your home defense plan, your own skills and resources. There you have it. An 11 step home security checklist to help you beef up your readiness. Using these steps as a guide will help you address the biggest areas of concern around most any residential home. Take these, assess your home security status honestly, and then correct any other deficiencies you discover in the meantime. If you work diligently, you can take a veritable “sitting duck” of a house into a low-key fortress within a reasonable outlay of time, effort and money. This is an intelligent article. I would say that number one should be to lock your doors. (I live in the South. You would be amazed at how many folks don’t even lock their doors.) Number two would be to get a dog. I have a GSD–nobody walks on his street without letting us know. I spoke to a sheriff’s deputy about home invasions a few years back. He said that criminals look for easy targets. Just having a sign for a security system is good. He said that 90 percent of home invasions are homes without a dog. That practice used to be common everywhere in the 1950’s and around our rural community until the past 10 years or so. Often rural people would also leave their keys in the vehicles, since carrying the keys while working in the fields or with animals could get them lost and when you needed a vehicle, it saved a long walk back to the house. Number two would be to get a dog. I have a GSD–nobody walks on his street without letting us know. Dogs can be a good deterrent; but, around here they are rather common for managing livestock and not specifically for home defense. I spoke to a sheriff’s deputy about home invasions a few years back. He said that criminals look for easy targets. Just having a sign for a security system is good. He said that 90 percent of home invasions are homes without a dog. We’ve never had any home invasions in our community; but, do hear about them in some of the larger cities. In our case the isolation and distance probably helps; but, the terrain and the fact that most people are armed probably helps also. One of the classes I teach on occasion is the NRA’s “Refuse to be a victim” where we discuss such things as types of locks, types of peep holes in doors, and even how to construct your answering machine / voicemail message. For instance, a lone woman might do well to have a male friend with a deep voice record a nondescript message. Many police agencies use this materials; but, when you have seen the material, most note that everything is common sense. Having high bushes on the property gives a mugger a potential place to hide; but, making those bushes a thorny type, makes that harder. Dogs are very helpful to have. Our small mixed breed has a blood curling bark for a 65 lb dog. Our 110 lb lab chimes in and people just keep walking by. I want to make a comment about pepper spray. I agree that folks should have pepper spray available for potential use in those “probably not lethal force” situations. But, I wouldn’t call pepper spray 90% effective. Having used pepper spray extensively as a police officer, as well as being an instructor for it, I would probably call it closer to 75% effective. People on drugs and alcohol often have a reduced reaction to pepper spray exposure. Mentally ill people too (the real crazies). People who have been frequently exposed to pepper spray (such as instructors) also have a reduced reaction. They’ve learned to gut it out, as I have. Really determined criminals can also gut out the worst effects for a short time and continue their assault. If you use pepper spray, always assume it will not have a significant effect and be prepared to step up your defensive reaction. If it works well, great. If not, you’ll be ready for Plan B. Always have a Plan B and C ready to go. Lastly, if you use pepper spray, you WILL be exposed to some of it yourself. I’ve never used it and not had some effect on me. Unless you fire it into a stiff wind, you won’t get a lot back on you, but there will be enough to mess you up if you are not expecting it. Take some time to have a friend shoot a quick squirt into your face so you know how it feels and how to fight through the effects. Yeah, it’s miserable, but you will know what it is when it happens and you will know how to decontaminate yourself afterwards. Actually, the best way to decon yourself is to face into the wind and let the spray evaporate. You can use water, but you need a lot, like a shower. Soap and water to clean your hands, and wash your clothing. Don’t rub your eyes, it will make things way worse. What I carry along with a firearm and other defensive tools is ”SABRE RED Pepper Gel”>/strong> (Police Strength – Tactical Series with 18-Foot (5.5M) Range) with each canister having18 Bursts & a belt holster for carrying. 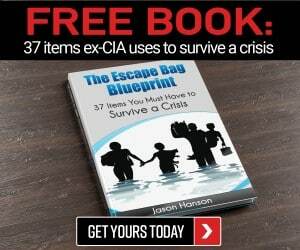 This was recommended to me by Lieutenant Colonel Dave Grossman in one of his “Bulletproof your mind” seminars and is carried more as a deterrent or distraction than an actual defensive tool. When we come under stress, the “Freeze, Fight or Flight” actions are instinctive; but, practicing to tune your OODA loop, and having a distraction like Pepper Gel can buy a bit more time to make the decision, without fear of prosecution that one might encounter with a firearm or other lethal measures. BTW, the difference between the “spray” and the “gel” is that the “Gel” tends to stick and not wash or wipe off as easily as the spray, purchasing a bit more time to react. It also doesn’t mist back into your face as much as the spray. I carry the same stuff as you. Gel does reduce the potential blow back of a spray. But, if for some reason you have to go hands-on after using it (like a police officer would), expect some effects. Police officers are taught to quickly control a seasoned suspect for a couple of reasons. #1-Get the combative little sucker under control while he/she is distracted. #2-It’s a favor to the suspect as they will almost always start rubbing their face and eyes, making it worse for them. A citizen shouldn’t have to go hands-on after using pepper spray or gel unless the bad guy is able to fight the effects and goes hands-on with you. Otherwise, a citizen should take the opportunity to break contact, get outta Dodge, and call 911. Let the dirt bag rub his face into flames. I agree that checklists are essential; but, my checklists are kept electronically in a word processor document or a spreadsheet, for both ease of access and ease of modification, since they are never static. That being said, I’ll address the components on this list, one at a time for my particular situation. Your situation may be different; but, this is something I’ve worked on for decades, and I will hopefully be able to add to the conversation. In our case that’s something that was instrumental in wanting and purchasing this property 33 years ago. We have a clear line of sight to the road some 200 feet east, to and along the property frontage. To our south it’s 100 feet of open space to the barns and to the north, another 100+ feet to the fence along the northern 4 acres to the north. To the west it’s another 150 feet to a steep bank down to the creek, with more than a few plant obstructions. Most of the spring and early simmer, the western side of the property on the far side of the creek is under water. 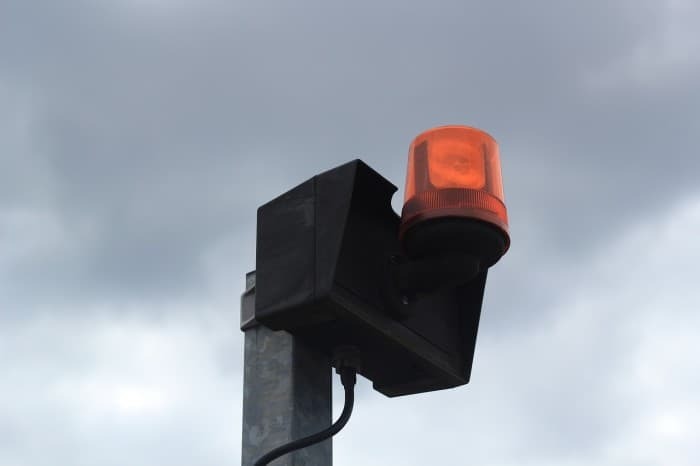 We have floodlights that can be turned on & off remotely and a few solar powered motion sensing lights that come on automatically after dark if they detect motion. Many of the lights on the property, including those in the barns, garage, and chicken coop can be remotely controlled from numerous places in the house or wirelessly with a hand control. For those who are curious, we use the X-10 system. MultiFlora rose is great for this. We don’t have it at the house; but, do have it in strategic places on the property to funnel intruders. We have some of those; but, I will warn against the easy use of wireless cameras, since they are too easy to defeat. Using WiFi with proper security may keep me from intercepting and seeing the image; but, I can easily overwhelm the system and make it worthless to the user. The equipment to do this is cheap, available, and requires no real technical skill, so take the time to wire the cameras and provide them with battery backup, like an inexpensive computer UPS. 6 to 8 inch screws are used on all of our hinges, strike plates and hasps and all doors and storms are kept locked. While we do not have a specific system on the doors and windows, we do have wireless motion sensors on the property and in a few of the outbuildings. Various models of the Bunker Hill Security, Wireless Security Alert System from Harbor Freight do a good job letting us know about vehicles entering the driveway, people (or animals like deer) on sections of the property, and people in a room in one of our outbuildings where we store our mower, tiller, etc. In our rural neighborhood, theft has always been a bigger problem than home invasions or other crimes against people. BTW, unlike cameras, wireless alert systems like these are hard to detect & jam, since they use short bursts of radio that are hard to detect or jam. We have numerous firearms and are proficient with them. Since we are in a rural setting, practice is as simple as stepping out to the west side of the property where we have a backstop and up to 50 yards of a clear lane for shooting nearly anything. I always carry a sidearm (even as I type this); but, have Saber Red Pepper Gel on hand and several short Bo Staffs and NunChaKu within easy reach. While the Bo Staff and NunChaKu obviously require practice, don’t underestimate the need to practice with the Pepper Spray or Pepper Gel. Quite often you can purchase a kit that includes several inert versions of the device to allow one to learn how to use it. After living here for 35 years, this is rather easy. Also, now that it’s just the DW & I, we don’t have to worry as much about which wall may have one of the children’s bedrooms, and most of the walls are still made of real stuff, real lumber with plaster and lath. We don’t do this as often as we should; but, like a fire response plan, you should at least have an idea of what to do & what to grab. Once again with the kids gone, this is a bit easier. We rarely have darkness. Many of our light bulbs are the LyfeLite LED bulbs with the internal battery, and still others are LED bulbs plugged into the numerous computer UPS units in the house. We also have a whole house auto start generator, so a power outage doesn’t affect us much at all. 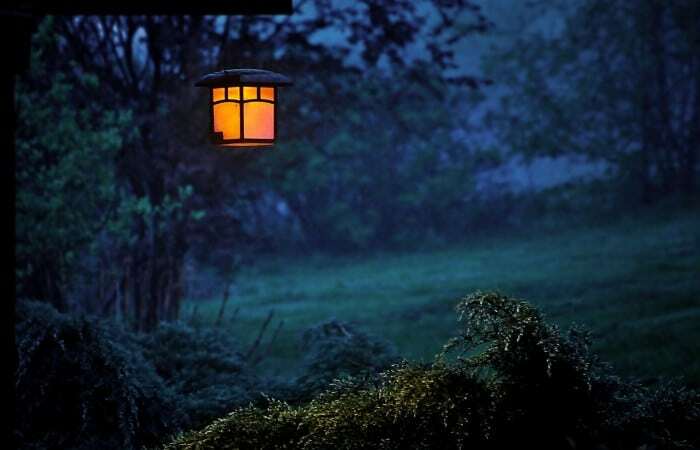 OTOH, living in a rural setting means that when night comes, it can get really dark in a hurry, so we have various flashlights and lanterns always at the ready. In my pocket is a fully charged and ready to go LED flashlight for those “Just in case” moments. Sometimes I think there is a fine line between ”Prepared” and ”Paranoid”; but, I have often heard that it’s not if you are paranoid; but, paranoid enough, LOL. I really think that there is a big difference between a rural vs. an urban / suburban setting and each of us needs to be aware of our own situation and take the actions required.